By Craig | March 4, 2019 | This post may contain affiliate links, which means we may receive a small commission, at no cost to you, if you make a purchase through a link. Read our Disclosure. 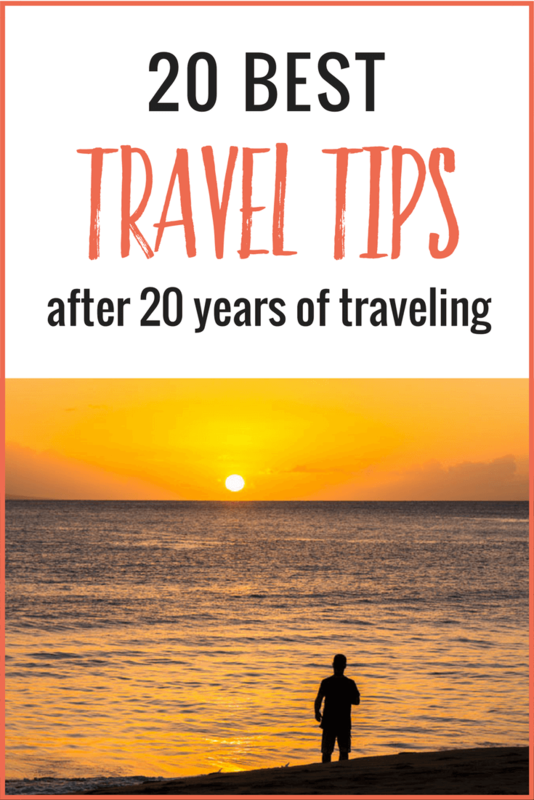 Over the past 20 years, Caz and I have been fortunate to have visited over 50 countries and lived in 5, and today we’d like to share with you our 20 best travel tips! 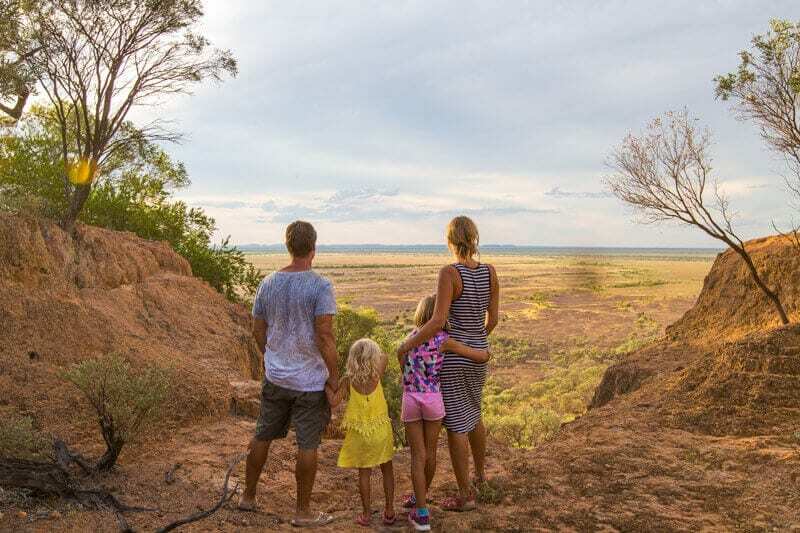 Whilst our style of travel has evolved from solo travel to traveling as a couple and to now traveling as a family of four, there are some core travel habits that have served us well, and we continue to follow them to this day. For us, travel is not just about checking places off our list. Our motto has always been “accumulate memories and moments, not just possessions”, and we like to do that through travel. 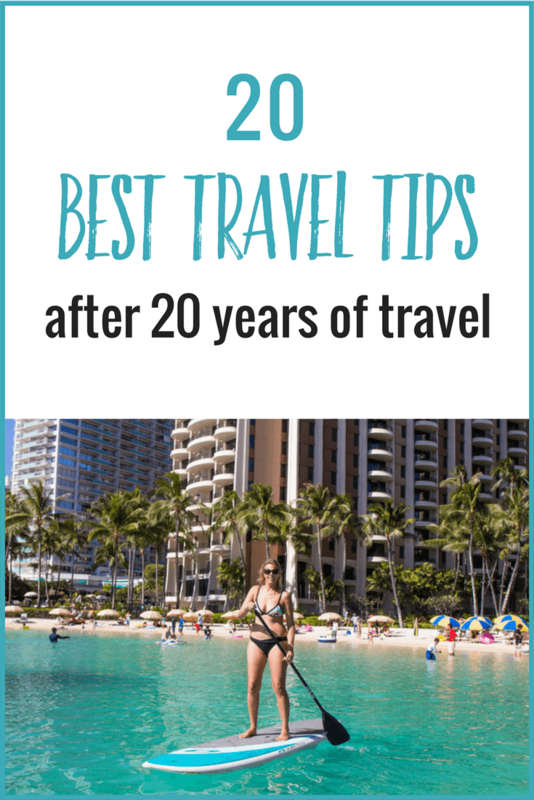 From our travel experiences and 7 years of travel blogging we’ve accumulated our fair share of top travel tips along the way and it was difficult to limit this to just twenty! We hope this list of our best travel tips will inspire and help you to travel, and travel more often! If you want to travel more, you’ve got to make it a priority! Seriously, if you don’t have enough money for travel yet you have a wardrobe full of designer clothes that you never wear, or a garage full of expensive toys collecting dust, then you’re not clear on your priorities and purpose. We’ve been able to travel overseas consistently over the past 20 years because we made travel one of our top priorities. We channeled most of our energy, focus, and finances towards travel. Currently we don’t own a lot of stuff, but we sure have a lot of memories. When you’re planning a trip, don’t try and go everywhere and do everything – that’s a recipe for burnout and blowing your budget! Instead of racing from one end of a country to another, or tearing through 6 countries in 6 weeks, get to know a region well. Constantly having to pack and unpack, spend time searching for cheap flights, deal with different time zones, currency changes, and even visa issues can lead to burn out. And moving around to too many travel destinations can really eat into your finances. Slow down and take more in. This way, you’ll get a better feel for a place. Plan for a slower pace than you would if traveling solo or as a couple. Be realistic about what you accomplish, especially when traveling with toddlers. The less you feel you have to see and do, the more enjoyable and stress-free for everyone. Understand that you will never have time to see and do EVERYTHING. And be okay with that. If you want everything like it is at home, then what’s the point of going anywhere? Keep an open mind to learning and experiencing new things when you travel abroad, that includes trying new foods which can tell you a lot about a culture – and don’t be scared to eat the street food! If you travel with an open mind you can have a much more enriching experience. We often get emails or have conversations with people we meet on the road who express that once they have kids their travel days are over! Take it from us, family travel is possible and need not be a hassle. In fact, it can be one of the best experiences you have as a family! Sure, we don’t travel around the world like we used to or party as much as we did pre-kids, be we obviously still travel and so do MANY other families – the family travel niche is alive and growing. Over the past 20 years, our travel style has evolved from traveling solo, to traveling as a couple, to now traveling with our two daughters and many of our readers are inspired to follow in our footsteps. Yes, family travel has its challenges and there are pros and cons of traveling with kids, but creating priceless memories is something to cherish! There are valuable benefits to traveling with kids. They force you to evolve your style of travel, and in my opinion, usually for the better. Provide enough opportunities for them to rest and an environment for them to get a good nights sleep. Choose a kid-friendly destination that has enough activities to keep them occupied, and bring along a few home comforts such as a stuffed toy, reading books, or activity packs which can be a lifesaver on flights and road trips. Pack enough healthy snacks to keep them satisfied, especially on flights, buses and road trips. Long road trips or flights can leave kids feeling cranky and hungry. When eating out, go out for breakfast or lunch as we find it easier to handle than dinner as they tend to be cheaper and more casual affairs. Plus by dinner time our kids are tired and can get a little crazy! A hungry or tired kid is a grumpy kid, much like me actually! Get our family travel toolkit. It will show you how to plan a family travel experience everyone will love! Sit down with all members of your family and talk about your trip. The best way to get your kids interested and excited is to have them involved in the travel planning process. Memorable trips are those where each member of your family gets to experience something they love. Grab a few brochures or travel magazines and flick through the colorful pages. Everyone gets to choose a destination and activity they’d like to see and do. Go through the list as a family, discuss the pros and cons of each and vote. Next, jump online or on the floor with a big paper map and plot out your basic route with a highlighter, leaving room for flexibility. When you plan a trip it’s important you choose a destination and activities that suit the interests of all family members. If your kids (or you) are bored or dislike a place it’s not the recipe for a memorable vacation. One of our best travel tips and what we always do is talk to the locals! They usually have the best travel advice and insider knowledge on what to see, do and eat in their own town. It’s truly amazing what you will learn by striking up a casual conversation. Where can we get the best coffee? Where is the best spot to see the sunrise? What are the top three things you would show a friend from out of town? You’ll find that the locals love sharing travel info and stories about their town and are more than happy to help you have a memorable visit! Some of the best locals to talk to are those working behind the front desk in your hotel, or the bell boy. We always ask them for tips on where to eat, drink and explore. Failing that, we look on Trip Advisor. Do not shout at the locals, they are not deaf, they probably just can’t understand you! And NEVER complain that the people of the country you are visiting do not speak fluent English. Remember where you are! Learning the basics of the local language is a great way to show respect and break down barriers. Plus a smile, a wave, and a friendly attitude can break down any barrier where language isn’t understood. Get a phrase book, or an app, and make the effort to learn at least a few basic phrases. It can make life easier for you, you’ll immerse yourself more in the culture, and the locals will respect you more. If you can’t afford to travel overseas or out of state, if you don’t have the time to go away for more than a few days or the thought of traveling makes you nervous, start off by traveling in your own backyard. You don’t have to be rich to travel and it doesn’t have to involve long flights. A great way to bring more travel into your life is simply by exploring new areas in your home city or state. Start off by taking a day trip to a nearby town or a weekend getaway to the coast or mountains. Or simply explore your own town with new eyes. Visit a different park or beach. After a while, you’ll be looking for bigger and longer adventures. This strategy is one of the most overlooked and cheapest ways of bringing more travel into your life. If saving money when you travel is a focus for you, then one of our best budget travel tips is to seek out all the free things to do. Most of the time the best experiences in life are free, or extremely low cost. There is absolute joy in the simplest of moments, such as swinging in a hammock while watching the sunset over the horizon. We LOVE walking. 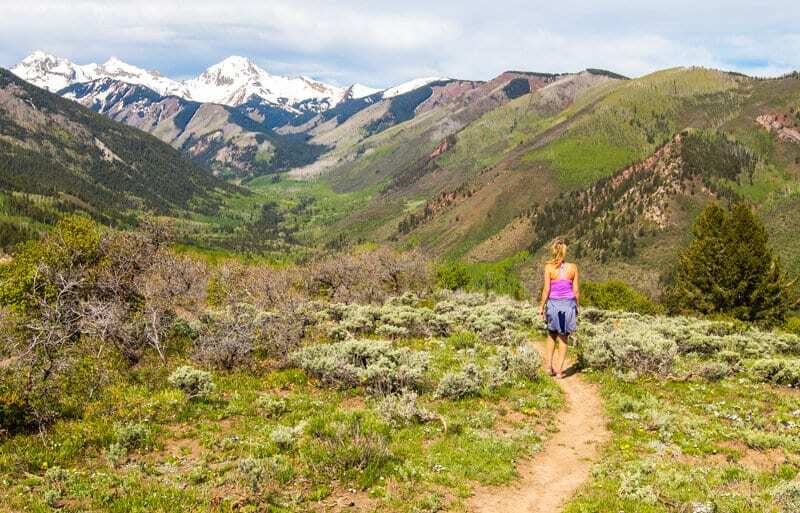 It’s one of the best ways to get to know and appreciate wherever you are instead of racing around by car. When you walk around you have time to stop and marvel at all the nooks and crannies. You are better able to soak up the atmosphere and feel the energy. And walking is FREE and good for your health! And walking is FREE and good for your health! This is one of our favorite vacation tips! Depending on the length of our trip and the destination, we tend to chop and change between accommodation styles. If we are planning a trip that is longer than a weekend getaway, we prefer to stay in apartments or an Airbnb. Apartments and Airbnb are also typically cheaper and more practical than a hotel – especially for families or small groups. But if it’s only a short city stay, or we’re just traveling as a couple, we’re happy to stay in a hotel. This is one of our best travel tips on how to find cheap flights! Instead of choosing a destination and then spending days or weeks looking for a deal, considering flying to where the deals already are. Skyscanner is one of the best travel websites, a flight search engine that lets you type in your departure city and search for a list of cheap flights to anywhere in the world. Simply go to Skyscanner and click in the “To” box and a drop down menu will appear allowing you to search for flights to everywhere from your departure point. This is a fun tool to plan a vacation. Kayak Explore is another one of the best travel sites to search for flights to anywhere by simply typing in your departure city. After you have used these flight search engines and found your cheapest airfare, go directly to that airline’s own site to see if you can get it cheaper. Many airlines have lower fares only available on their own website. Every now and then, don’t be afraid to blow your travel budget on those once-in-a-lifetime-experiences. We go away to experience things and create lifelong memories. Don’t limit yourself to just traveling for the sake of traveling. Go splurge on a famous restaurant, see a big concert, attend a mega sporting event, go on a safari, learn to scuba dive, take that hot air balloon flight, do something incredible you’ve always wanted to do! Even if you have to go under budget for a few days or a week to compensate for your splurge, it’s worth it. 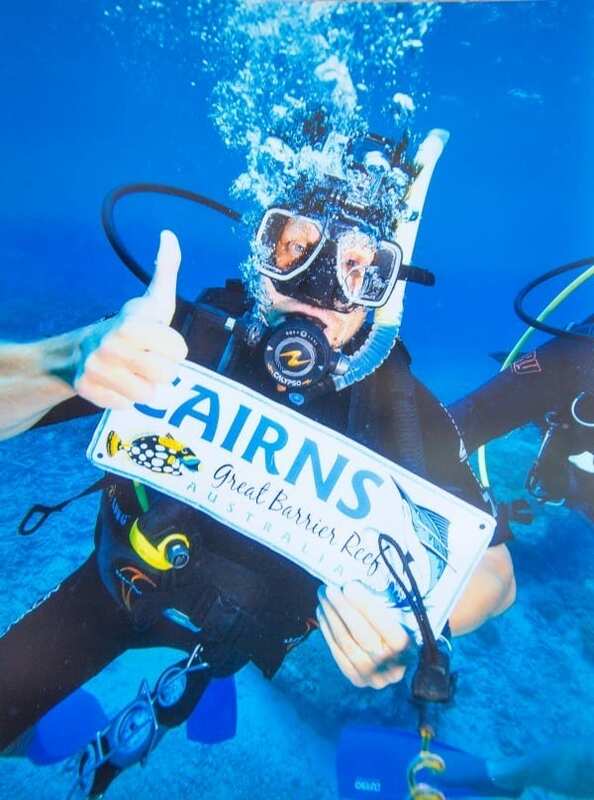 We spent $650 for a day trip out to the Great Barrier Reef. And $600 to trek and see the gorillas in Uganda – expensive at the time but lifelong memories! One of our best travel tips, especially if you travel with kids like us, is to leave room for flexibility in your itinerary. If you’re on an extended trip, don’t pre-book everything. You’ll meet people along the way who will recommend great places you’ve never heard of. You’ll discover interesting cultural activities and tours, and activities you thought you only needed 2 hours at you’ll need all day! And places that sound great from your pre-trip research can turn out to be horrible! If all your flights, tours and accommodation are pre-booked it can be costly to change. Go with the flow a little and don’t over plan. Of course, if you are on a short trip with limited time and there are popular attractions you want to visit, it pays to book ahead. Probably our most important trip advice. I’ve said this over and over…“If you can’t afford travel insurance, then you can’t afford to travel”. It’s that simple. Especially if it’s an overseas trip! No, I don’t like paying for it either, but buying travel insurance can be so cheap it’s a no-brainer and the peace of mind is priceless! I would rather spend an extra $100 or so for our trip and most likely never use the insurance than wipe out my bank account if something did go wrong. If you are an American, or someone visiting the USA, you should definitely NOT skimp on travel medical insurance. Health care costs in the U.S. are ridiculous, so large that people go bankrupt. If you’re interested in long term travel, consider a working holiday. Caz and I have lived and worked in 5 different countries using the working holiday strategy. Just three days after Caz graduated from University in Australia as a school teacher, she moved to London to teach for two years on a working holiday visa. Since then we have both lived in Dublin (Caz teaching, me working in construction), lived in Bangkok teaching English, and lived in the US on J1 and J2 visas (Caz teaching, me in construction). In each of these countries, we arrived with little money and little contacts, but we made it work and they became some of our most cherished memories and a great way to immerse yourself in a culture and travel a region whilst earning the local currency! If you desire to live in another country and travel abroad, we recommend making it a working holiday! Most of us have to work for a living and we need money to travel. Why not combine the two? 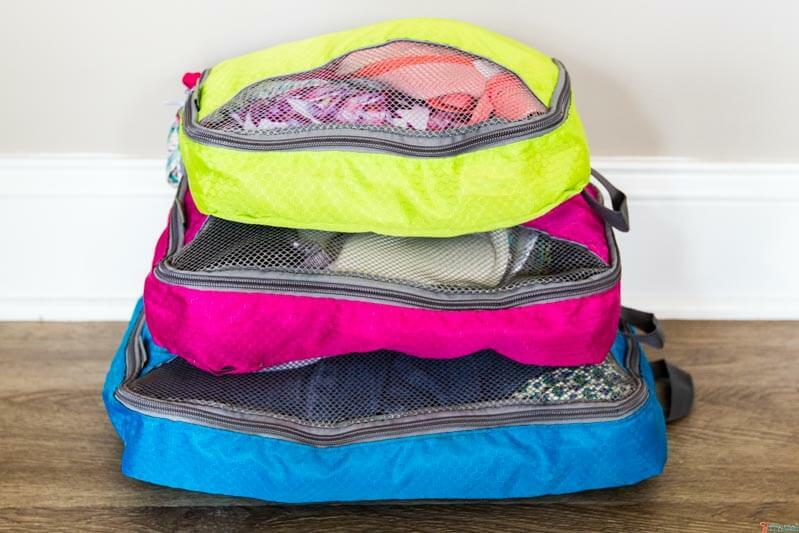 Just thinking about packing can be stressful when you are planning a trip, but the best thing to do is pack the bare minimum because you can always buy it once there! Our top travel packing tips are to select versatile, comfortable and loose fitting clothes and neutral colors that can be worn in multiple combinations so if something gets dirty you only have to change part of the outfit. If you travel with kids, encourage them to choose and pack their own clothes to minimize complaints and to teach them travel planning skills. And with toddlers, pack a change of clothes for dinner, pajamas, or what is needed during the day in case of accidents. Packing cells have been a life saver for us – in each cell we roll up each item and arrange clothes based on type and season. You can even stuff your underwear into your shoes to save space. And Caz loves her underwear organizer. Worried about the weight of your suitcase? Wear your heaviest clothes on the flight, including your big hiking boots! And don’t forget to bring a sarong! A sarong doesn’t weigh anything and can be useful for so many things like covering yourself in holy places, a bed sheet, a towel, a picnic blanket, a scarf, a sweater, wind protection, a privacy screen, shade – they are amazing! Know the weather of the destination you are visiting, which helps reduce over-packing. When flying take a change of clothes in your carry-on just in case your checked-in luggage doesn’t arrive with you. Know the activities you will be doing so you can pack appropriately. Know the types of accommodation you will be staying at. If you are staying in hotels you won’t need to take things like towels, hair dryers or linen. Charge your electronics and load up all your tablets and portable devices with things to read, play, watch. Take it from us, dragging heavy suitcases around airports and onto public transportation becomes stressful real quick! As they say, “halve your clothes and double your budget”. We all want ease and convenience when traveling, especially when it comes to accessing our money. One thing to know is should you have a checking or savings account when traveling? Well, it can depend on the country you’re visiting. On a previous trip to Thailand, we had an issue accessing our money using our ATM card because our card was a checking account. 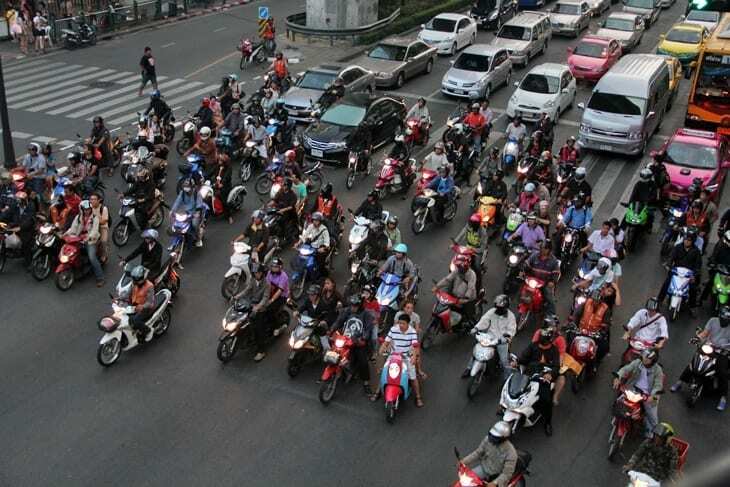 For it to work in Thailand it had to be a savings account. We did not know this at the time. Check with your specific bank regarding this. If traveling with a partner split up the locations of your credit cards and cash in case of theft. Notify your bank and credit card company where you will be traveling to and the dates, this is to stop them putting a freeze on your card if they see unusual transactions from overseas. 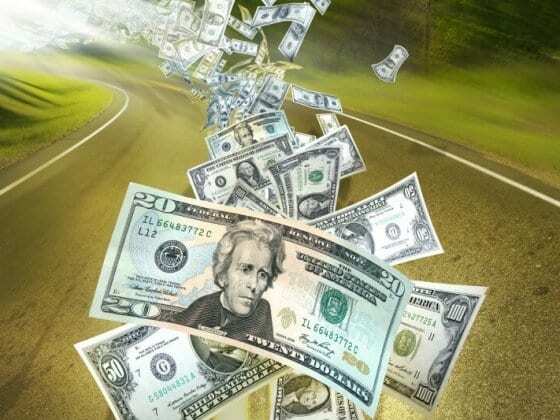 We recently discovered this amazing way to transfer money overseas. It gives us a fantastic exchange rate and no fees. It’s saved me about $1000 this past month transferring money to the US. One of our favorite travel hacks we’ve used in the past is accumulating reward points from our credit card that we can redeem for free flights or accommodation. One of our friends here in North Carolina is an expert at this and has inspired us to become better. Get the best rewards credit card you can and use it to pay all your bills, groceries, fuel, eating out and earn reward points. You have to pay your bills anyway so why not use your Rewards Card. BUT, you have to display self-discipline and be smart with your spending and pay off the balance! Which is easy to do by setting up a direct debit from your checking account to pay off the balance each month. This strategy is one of the fastest ways to gather points you can put towards travel, and they can add up fast. Since our recent move to the US, we got ourselves the Chase Sapphire Preferred credit card which gave us 50,000 sign on bonus points. This Chase card has been helpful for us in setting up our new apartment in Raleigh and after spending $4,000 on purchases in the first 3 months we can redeem $625 towards travel. We are still on the lookout in the US for the best rewards credit card that we can accumulate points on to be used on any airline or hotel. Can you recommend one? Check the program and benefits for your current credit cards, you might be able to use your points for travel. And for expert tips on this topic check out The Points Guy. I know, waking up early can be tough when you’re on vacation and especially if you have to drag kids out of bed. But it can be the best time of day. 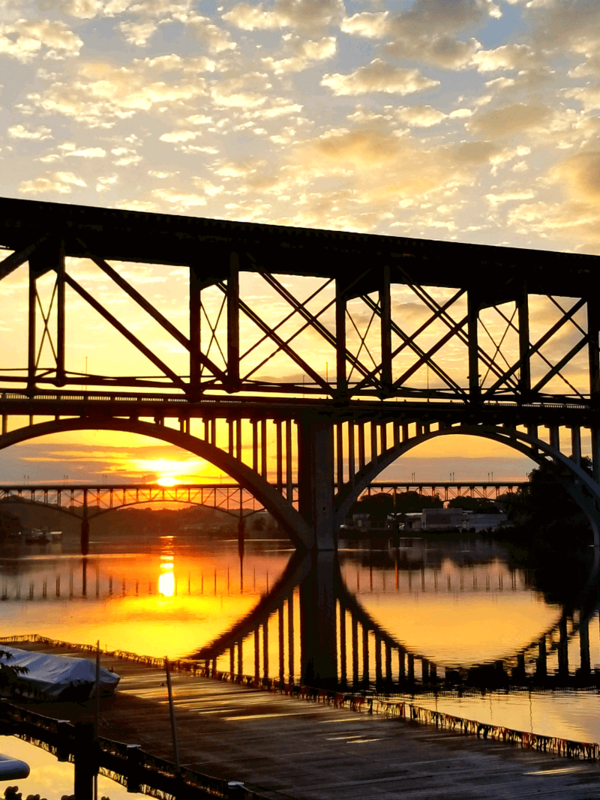 Early in the morning you can take a peaceful walk and see a city coming to life or catch a beautiful sunrise, like the one above from our morning river walk in Knoxville. If you’re driving you can beat the rush hour of traffic, and you can avoid the heavy crowds at popular tourist destinations – like we did at The Twelve Apostles and Wineglass Bay. When you get out of bed early it’s amazing how much more you can get done in a day, and the light is nice and soft too making it a great time for taking photos. We are guilty of this as much as anyone, considering we are full-time family travel bloggers and spend a lot of our time taking photos, putting out updates on Facebook and Instagram, and creating YouTube videos. But it’s important for us to remember to step away from behind the camera, to put our phones down, and simply be present in the moment. Sure, it’s nice to look back on your photos and videos, and social media is addictive, but the only time we have is right NOW in the present moment. The past has past and the future never arrives – so take the time to just sit and be fully aware of where you are with all your senses! If you spend your whole vacation looking at it through the confines of a lens, or keep jumping on Facebook every 5 minutes to see what everyone is up to at home, you are not fully present and can miss so much going on all around you! You’ve spent valuable money and time to be there in the first place, don’t let the moment pass you by! 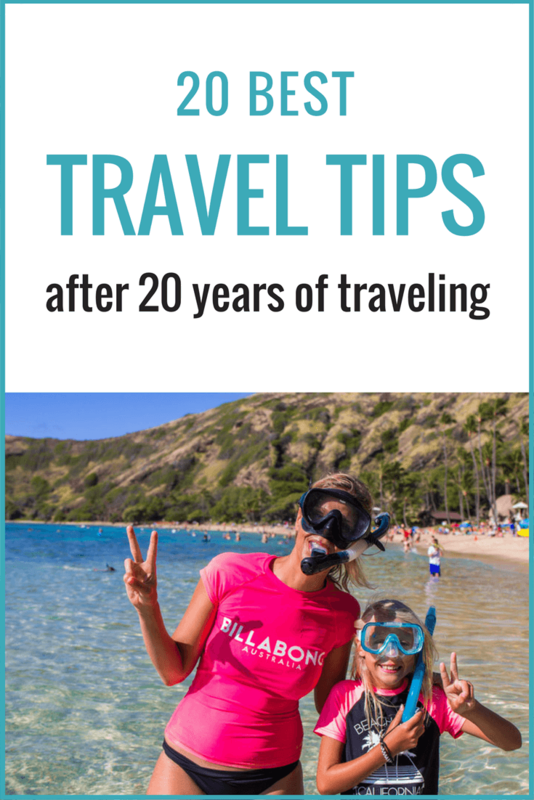 You can get more lessons from my FREE ebook – 20 life lessons learned from travel. How to live an empowered, joyful and connected life. What are your best tips for traveling? If you have any travel advice to share with us all, please leave a comment below! Tip #4 is an eyeopener for me. It truly is inspiring the way you are traveling as a family. I always told myself: “enjoy your travels now, because you are going to take a long break from them once you have kids”. But you guys make me see that kids don’t have to interrupt your travel dreams. We used to tell ourselves the same thing before we had kids. It’s a common phrase we all say to others, or used to say… “enjoy your time now because once you have kids your life is over”. Not true!!! Your welcome, and that’s great that you are making travel a “priority” with your family, they are priceless memories and all the best for your next trip! Travel doesn’t have to stop once you have kids. This resonated so much with me. Even since our daughter was born in 2011, surprisingly, our travels have only increased. Put down your phone and camera is the best tip you have put. Having started my blog only a month ago, I am a bit apprehensive about spending too much time on work (during vacations) and not enough with my family. Glad the post resonated with you, and happy to hear your travels continue as a family. Yeah, as a blogger it’s hard to find the balance between “working” whilst on a trip and just enjoying the moment, it takes awareness and presence. Happy travels! 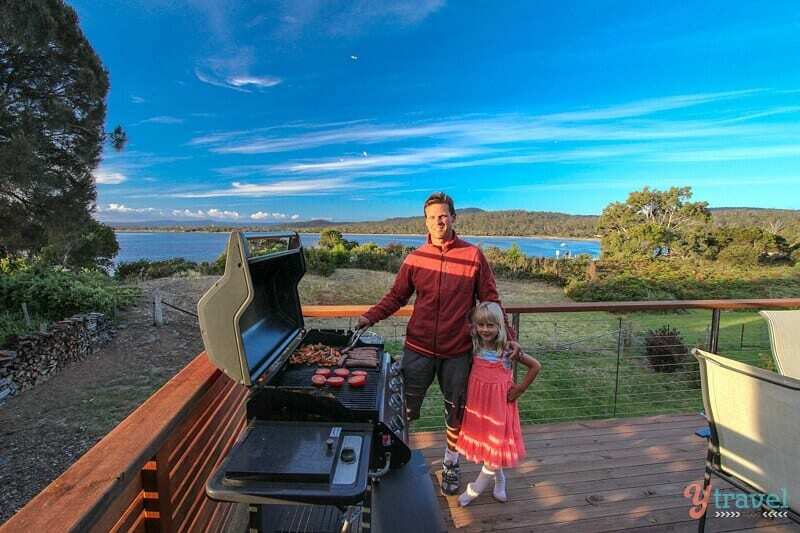 I love reading your blog, I follow closely all the tips, very cool you can travel with children. I wrote home one of the tips for my next trip. Thanks for reading Marco. Enjoy your travels! Thanks for sharing these tips, so that we can have the best tour. Glad to read this post and really very useful it is. Once i had a visit in Darjeeling and i planned to have a glimpse of sunrise but i cant be able to get up early so for me Tip no. 19 is very useful. tip#14 this is really very useful information for us,who are going to trip for abroad by reading this article i learned lot of things about the prons of taking travel insurance.thanks for sharing such a nice article for us. Beautiful! Just wanted to share with you guys that I went to Australia for about a month. Explored Melbourne, visited Yarra Valley, Adelaide and Barossa Valley. It was lovely! Coming back to your post – yes, slow travel is always more rewarding, exploring your own backyard is also fun, and getting up early gives you enviable memories and photos! I love tip no. 8. We love nothing better than spending a day exploring our local area or going somewhere new that is just a two or three hour drive away. Great tips all round. Yes. It’s so easy and cheap to explore your local area as well. Focus on what you want travel to give you and you can find that very close to home! Thanks for appreciating our best travel tips! Amazing travel tips……pics are awesome 😉 ! So many tips here that I live by. After 5 years on the road I came to #4 (kids). Recently had a month in USA and happily did #12 (blow budget) but we have come back and said to ourselves that it’s not really worth those massive big budget blowing trips with our little one only being 2 yo (almost 3) as she can get great fun out of almost anything. We took her to Disneyland and her best time was a bench seat that had old tractor seats on it! I notice that https://www.skyscanner.com.au/ is listed in the article. WIll keep an eye on that too. Yep, free stuff in your own backyard is an awesome way to keep travel in your life until you figure out your next adventures! Fantastic tips from a very well-travelled family. I especially like the cheap flight tips; I fly a lot but mostly for work as I´m a pilot. Its great to see how flying and travel is becoming more accessible and affordable for people. Thanks for sharing and keep enjoying life as you have been until now! I believe that AirBnB and doing free stuff are perfect ways to spend less, but still enjoy a vacation. Do you know a way to share a AirBnB with a stranger to save additional money? I had the Barclary Arrival credit card and it was super easy to earn AND redeem rewards. At the time I had to put $3,000 on the card within the first 3 months and then I got 60,000 points, which was about $625 in travel credit. Plus you get 10% of your redeemed points back. So I booked us 2 roundtrip flights from Newark to Orlando and a hotel outside of Newark – earned the points for those purchases and then I was able to go into my account and pay the travel portion of my bill with my points, plus get 10% of them back. Super easy! We also booked an AirBNB in Providence, RI that would have cost us $275, but was free because of rewards. Also, no foreign transaction fee, which is nice if you are leaving the US. I cancelled it after the first year though because I was just churning it for the points and didn’t want to pay the $89 fee after my first year was up. Something to think about though! I am planning a family trip in England.Your travel tips are very useful for me.Thanks for sharing this article. Couldn’t agree more on point #4. Sometimes we parents just tend to forget that there is a life beyond parenting. First thing I have to ask you that how are you feeling after completing the 20 years of traveling? You have so many stories to tell everyone. You explore the world in a very different way and now I think its the time to tell your journey to others. Well, I will keep all your tips in my mind. These are some great tips. I now feel like I can travel the world with the little rugrats and actually enjoy myself. Thank you so much for this. Surprised To Read The article! Really well-Written Article. Hats off To the Writer. I personally really love to Travel and some of the things discussed above were really new for me. what I personally felt during my journey Is the Expect the unexpected! Keep Up the Good work! Thanks for sharing these tips.I really like all the tips you mentioned above. But, here you miss the one point and that is on the map. It is very important to carry a map while traveling to any place. As there are so many different maps in the world. But, according to me, the scratch map is the best map you can consider. Scratch map is quite useful for travelers since they can use the map to see where they have already visited and where they should plan their next trip. This map is also useful for the kids.Believe me, if you give a scratch map to your child, they will learn all the countries of the world within a couple of months very easily. Thank’s for the amazing post! This really takes traveling to the next level, I would personally also add to it that getting a plane ride much more advance is somehow cheaper compared to next day flights, but hey that’s my opinion. Making the travel your priority seems to be a really important tip. With my income I can afford 2-3 destinations a year, each about 5-7 days and so many of my friends ask me how do I find money for the trips. Everytime I eplain that after paying the basic bills and stuff I need I try to save all my money and invest them in traveling. It is not so diffucult to travel, it just needs some serious planning if you are going to do it on a budget. Number 2 and 4 rings so true for me. I hate the burnout of travel. I always feel I am going to come back to a place so I try to do less and enjoy a more rich experience, hoping to build on that the next time I come back. Traveling even after having kids is one of my big beliefs. I am not one to want to wait till the kids are out of the house to experience the world. While i am healthy and at my most active self, I want to experience the world – with the kids when possible. I love this travel tips! Especially Tip№20 resonated with me. Sometimes social media really do not allow as to be present in the moment. Enjoyed the tips and welcome to the US. I grew up in Asheville and now live in Greenville, SC, but Raleigh tends to have some of the best fares to Europe (even over Atlanta! ), so you’ve got a good spot there. I’ve been looking at cards for travel too. I think you’re right with the Chase Sapphire, that is the one I’m leaning toward. I use Hotels.com a lot (enjoy those free nights), so by adding the benefits of extra points, plus all the other travel related extra points that can be earned, it seems like the best way to go. Plus, as I start getting more into travel writing as my side hustle income (I have a full time Internet based business already), there will be a day it would be good to keep those travel expenses separate for tax purposes…so I’m looking for that travel only card. Good luck on your quest and maybe we’ll bump into each other on the road! Thanks for the welcome. Very happy to be here and glad our tips helped. Enjoying the Chase card and we just got the American Express Hilton Honors card that comes with 50K HH points upon sign up. Yes Hotels.com has a good rewards program, and nice to hear Raleigh has good fares to Europe as that’s a destination we are looking to explore over the coming years. Enjoy your travels. One thing I thnk you’d love which you may not yet know about is PortaPocket. Lets you safely, hands-free carry small essentials ON your body. Much more than any neck safe, money belt or leg wallet. It’s a patented, wearable system that’s modular, so it’s really ALL of those in one, and works almost ANYwhere on your body (& either under/over your outfit). Super confy, detachable/interchangeable, easy to use. Go from a workout to a night out without skipping a beat. I won’t leeave home without ’em, and haven’t relied on a purse to carry my valuables in over 10 years. Freedom = GOOD!! Love this post! I especially love hearing #4 – that travel doesn’t need to stop when you have kids. We don’t have kids (yet! ), but it’s always encouraging seeing families travel together and knowing that we can do that someday! Thank you! We love to show others that it is possible! Its funny after years of travel that you start thinking about ways to make each trip more enjoyable. I really like the be more flexible section. That is something that we really need to work on. I always stick to the plan and it seems we may be missing out on other activities that we are not aware of prior to going on our trips. Thanks for sharing travel tips. It more informative for me especially tip no#20 put down your phone and camera to enjoy the present moment. Tip no.5 is very best advice to travel.This is the best idea for planning a trip with family.Best idea for get together from their busy schedule.There we can fun and lots of enjoy with our childrens,parents and other family members. Wow! i can’t really imagine that what a guy like you would have learned in all those 20 years. i think it would have completely changed your life and have made it exceptionally and thoroughly interesting! I totally agree with you when yo say : Travel Does Not Have to Stop Once You Have Kids. I always have this conversation with my friends and some members of my family. May be in the first months after a baby is born we have to consider and choose a destination with less adventure, but after that you become more free in choosing your next destination. 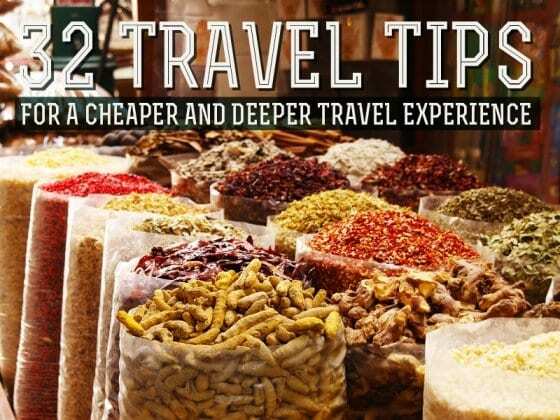 Thanks for sharing such a nice & informative piece of content about travel tips with us. Personally, I like the #Tips 16 because packing is very stressful for me also. First of all, I am so jealous of you guys. I mean, 20 years of traveling, that’s the life. These tips are so unique and awesome. Thanks for these tips. I don’t know if I will go travelling soon but I will keep them in mind. Thanks for sharing such an amazing post. Tips and tricks which are given in this post are unique and helpful. Especially when it comes to travelling with kids. 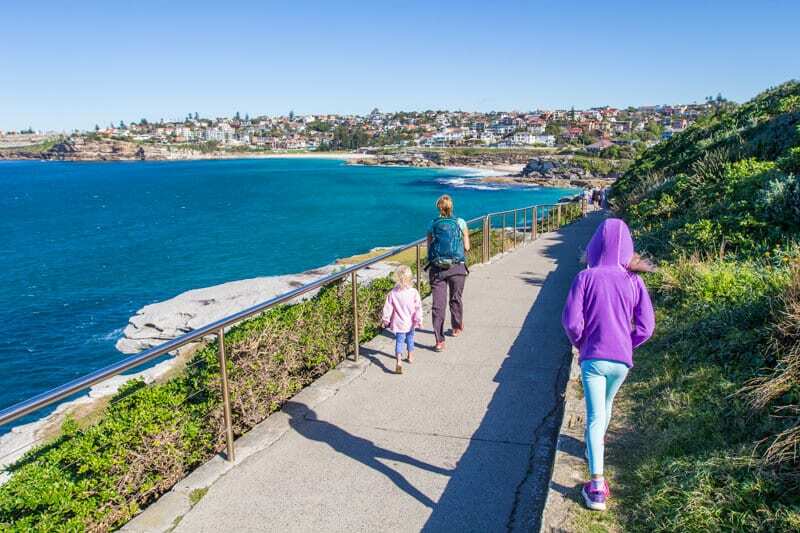 Many thinks it might be impossible but you made it clear and simple.. Family trip can be a time to strengthen bonds between parents and their kids. Once again, a great read and thank you so much for sharing this information. Traveling with kids seems like can create more problems for the parents, because you have to spend more time on them instead of enjoying and giving time to each other. but i think with kids you have more to enjoy, with your family, you don’t have to worry about your kids at home. So your trip does not become boring. Thank you Atrice! I love exploring the differences in the world. It keeps me vibrant, in awe, and connected. It was wonderful reading your blog. The tips are informative and very helpful. I totally agree with points 2 and 6. During my previous tours, I had to cut visits due to lack of time. Talking to the locals can help you get a better insight into the places. During my last travel, I got good help from the locals to find the best affordable restaurants to try the local food. I hope I can be like you. WOW !! It was nice to read !! I love Travelling !! I have plan this year we will visit Europe !! Thanks for providing us this good Article !! Thank you for showing us that traveling with your family is possible. If you truly want to do it, there are ways. We prioritize traveling as our way to spend family time! How wonderful it must have been traveling with your family. I enjoy watching your adventures! You’re such a lovely family and great to see that the kids having fun. Do you have safety tips for kids when traveling? Getting them to wear a tracking device during your travels would be a good idea for safety. What a good read indeed, on keeping our kids safe when traveling, I also like the idea of keeping a tracking device for kids. Thanks for all the tips. Lots of great tips guys! I especially love number 19. There is no better way to start the day than to wake up in a new place and catch the sunrise as the locals begin their day. Thank you! I love tips number 14 and 19, 14 which is Travel Does Not Have to Stop Once You Have Kids, I agree with it you can still enjoy travelling with your kids this will strengthen the bond of your family. It is in our mind that we are afraid because we might lose our children We do have this technology GPS tracking devices to keep track on them .19 which is Get Up early, Seeing the Sun rise is a great experience especially if your house is located on the top of the mountain with matching view of the sea near your location. Great travel tips! I always have with me my Trackimo 3G Travel tracking device inside my backpack just in case when i accidentally lost it i can track on it anytime easily. What do you track on it? I agree Karen i have one of that Trackimo 3G GPS Travel tracker. Actually Caz, this tracker can manipulate thieves that might steal your valuable things inside your bag because it has Light Exposure Sensor that immediately alerts users when backpacks, packages, luggage are opened. I completely agree with spending more time in fewer places. That way you can actually explore and experience the culture instead of running around and try to catch up to time! I love your advice on putting down the phones and camera! Technology is so prevalent that people are missing out from what’s right in front of them! Thank you so much for this beautiful post! All travel tips are awesome. If you share and contribute your valuable idea with my newly created website will be a great help for me. Great advice! We are just starting our travels and can use all the help that we can get! You’re a rockstar family I must say, especially after reading Tip no 20! I’ve seen most of the travelers are more interested in taking photographs and saving or sharing them for future. My simply advice? If you can’t enjoy the present, how will you enjoy a future that only exists in a few photographs! Your tips are great, and I definitely agree with #1. Like you, we started off traveling as a couple. In fact, we met when we were both backpacking through Southeast Asia, specifically Vietnam. Now that we have a toddler, we tend to pick family-friendly vacation destinations. This year, we traveled to Barbados for two weeks. The beaches are amazing, the food is awesome, and most importantly, the locals are very friendly. I liked reading #15. In 2009 my wife and I taught English for 3 weeks in a tiny town in Central Vietnam that is still suffering from the effects of the Vietnam War. We will never be able to replicate those 3 incredible weeks of warmth, openness and sheer happiness from our students and the local community. It’s incredible to think that many of our student when on and have since graduated university. Nice & very practical tips. To travel the world is not necessary to be a millionaire, simply adapt to a budget and be curious about new places. IMO, you could have ended the list after #1, Make Travel a Priority. This is especially true for kids. I wish my brothers and sisters would take their kids overseas to learn not everyone eats, lives, prays, like they do in NC. People need to experience other cultures outside of the TV. Keeping your mind open is definitely the one that hit me, when we first started travelling, I would go somewhere and expect things to be like at home, but learning to realize cultures and the general feel of a place is going to have it’s different quirks wherever you go is something that can really help prepare to make the most out of any trip. Hi! Your tips are so accurate! We recognise a lot of them! 😉 Thanks a lot!! Wonderful article, I loved the tips thanks! 1) Get a book from a local writer, in this way you can learn more important cultural aspects. 2) Open an account in Wester Union, in case of emergency you can access it from anywhere in the world. 3) Always try to drink bottled water that you have opened yourself, so you avoid poisoning. 4) Travel alone. It is the best opportunity to know yourself. Very curious how our travelstyle will evolve over the years! Thanks for the tips! 🙂 Let’s make it another 20 years! Great tips! you surely dont have to be rich to travel, you do need some money, but people often think that they need much more then they usually do. No matter how much money you spend, those memories that you get will last forever and that is something worth traveling for. hello and thanks for your tips. I do agree sometimes you need to put down your camera and just enjoy living in the moment. but at the same time pictures are the most valuable souvenir everyone can bring back home. It was nice reading these tips as I am trying to find that extra push to quit my job and start traveling the world soon and capture the hidden treasures.